From a body uncovered in San Juan Capistrano to a desperate escape in Thailand, Baron delights us with her trademark international intrigue. 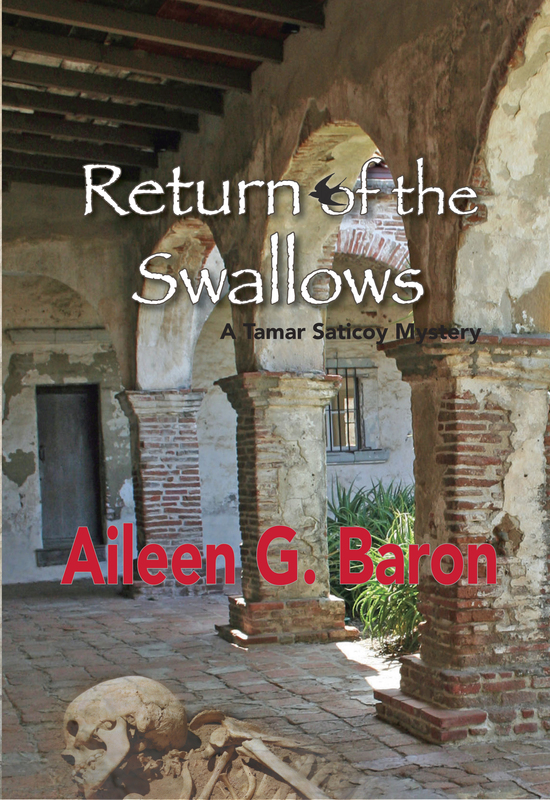 While excavating the ruin of the Great Stone Church at the Mission of San Juan Capistrano, archaeologist Tamar Saticoy uncovers a burned set of human bones. The assumption is that they come from a member of a local tribe of Native Americans, who must have died in a fire. As the coroner investigates, it becomes more likely that they are evidence of a recent murder. While the skeleton’s story is being pieced together, Tamar is asked to authenticate a collection—recently acquired by a local museum—which she suspects to be the product of looting. Her search for answers leads to other murders as she works to uncover a smuggling ring dealing in ancient Thai artifacts. Woven through these two merging threads is the story of Tamar’s traumatic past with grave robbers, told by a retired archaeologist, an omniscient narrator who paints a picture of a profession filled with romantic adventure and danger. Baron’s fifth mystery carries us from Southern California and the Middle East to the jungles of Mexico and Thailand in a whirlwind glimpse of her impressive career.